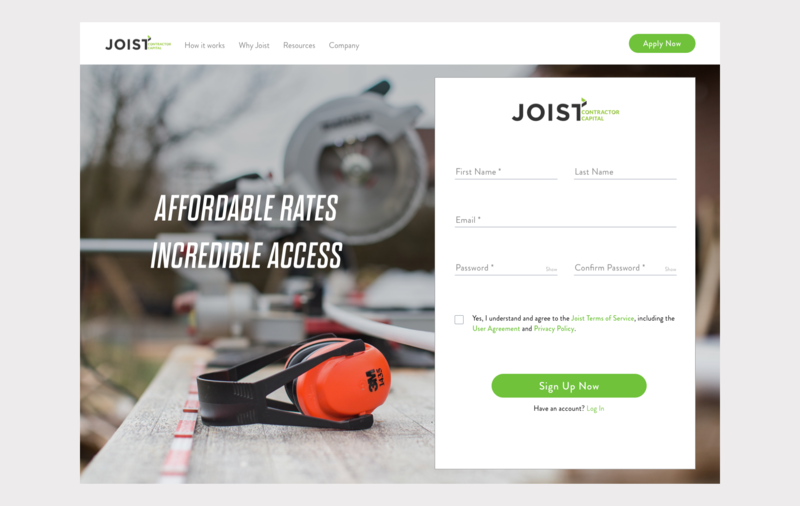 Joist offers tools that enable contractors to manage their business on the go. 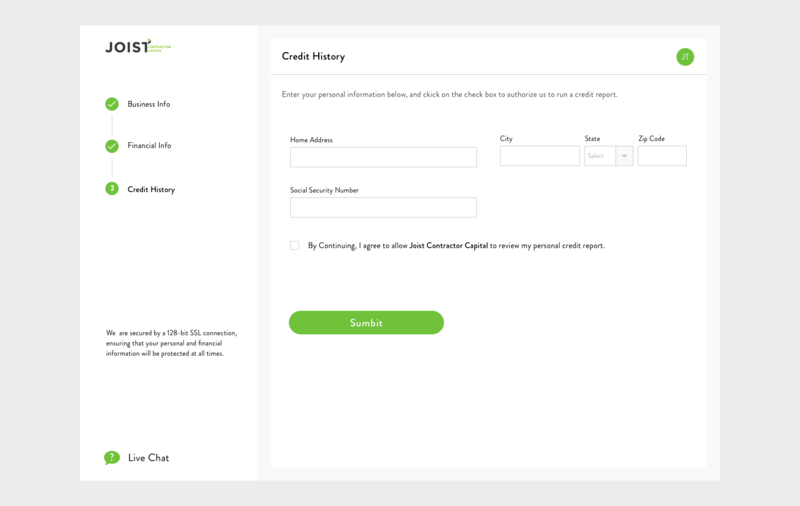 Joist partnered with Credibly to launch a new lending solution for contractors – Joist Contractor Capital. It utilized Credibly’s data-crunching software and customer success team to come up with affordable funding options that best fits contractors’ needs. 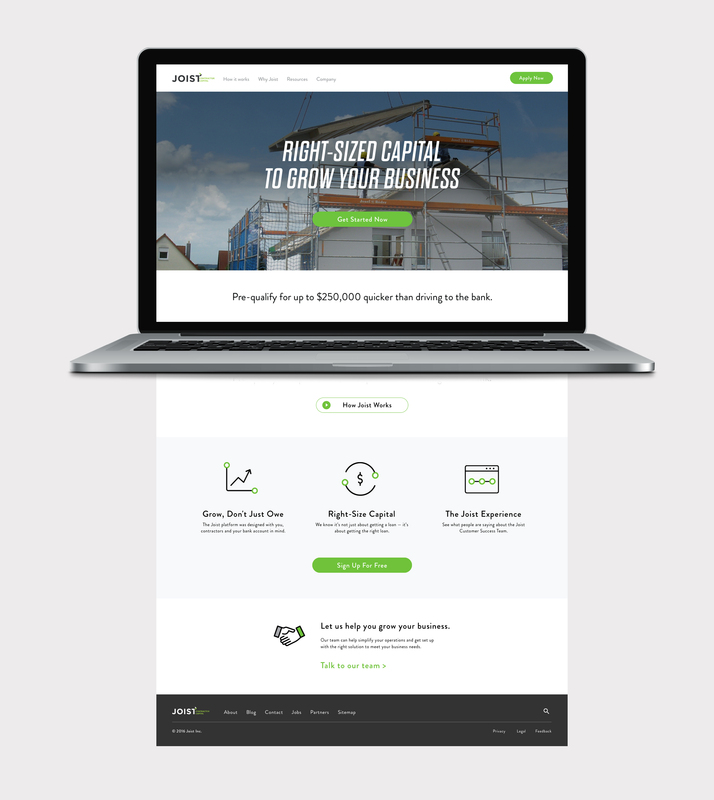 My team and I at Credibly focused on designing and providing the information architecture of a new, consumer-facing website for Joist Contractor Capital. We focused on mapping out all users needs and on figuring out a simplified application process that catered especially to Joist's clientele. We set out to provide an informative website and make the complicated loan application process easier and faster. We partnered with the Content Marketing team on all the copies on the site and the overall tone-of-voice. We interviewed with the Joist's clientele and other prospective customers. We took a glimpse into the world of general contractors and saw how they made decisions and specifically as it related to financial and technology products. We also paid a visit to Credibly's underwriting team in Detroit to gain a full picture of the entire application process and discover new UX opportunities. In our final proposal, users could move seamlessly between understanding the lending process, learning about the loan options, and submitting applications. We also demystified the process for applying for loans and introduced an easy, step-by-step online application. It also provided a framework for other future partner products for Credibly. 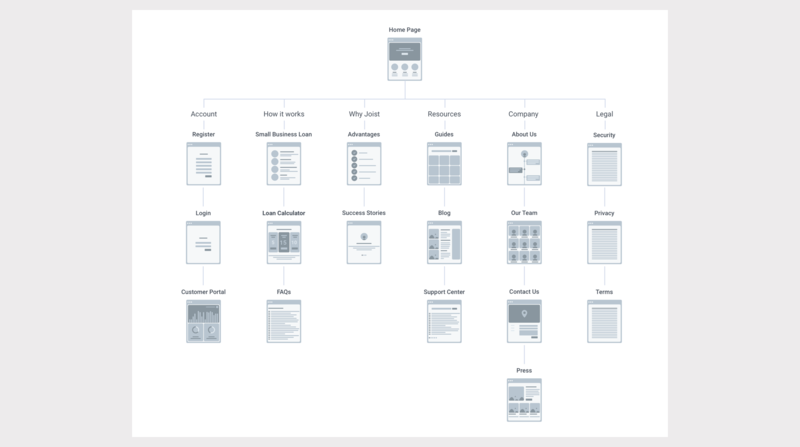 A series of wireframes for an earlier exploration of the Application Submission flow. The final Application Submission journey design.